Those of you following the debacle around the 50th anniversary re-issue of the Beatles “Love Me Do” vinyl single will be interested to know of a further BIG mistake on the now re-called disc. Not only did EMI stuff up the version of the song on the A-side of the disc (see previous post on this), it is now emerging that there is also another big mistake. They have put the wrong catalogue number on the B-side…. Hence some people on Ebay getting a bit carried away with their pricing on this one…. 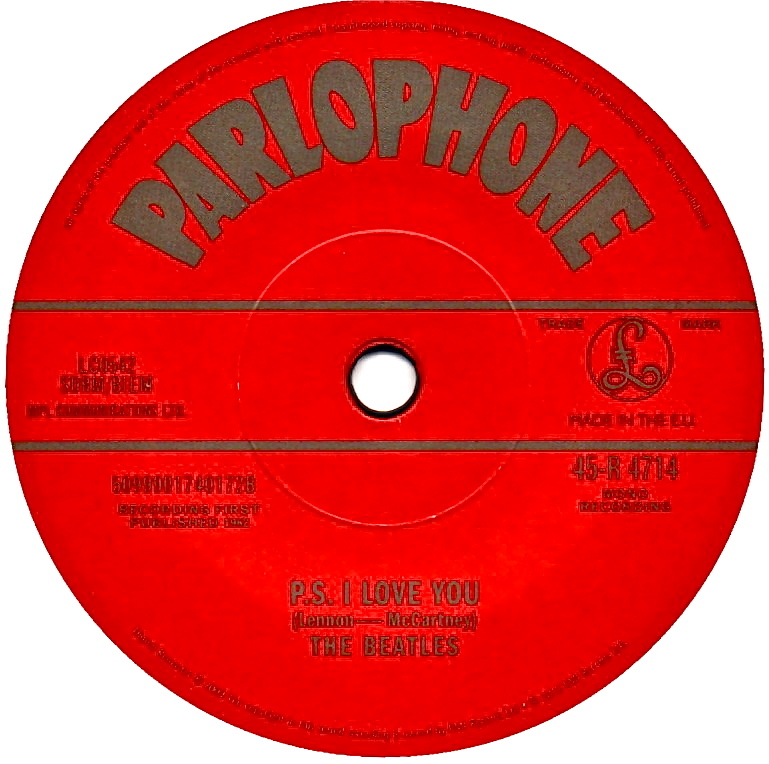 Some are even claiming this this mistake is the 2012 equivalent of the infamous “Butcher Cover” all over again and stating that the value of the re-called “Love Me Do” will just grow and grow. What do you think? 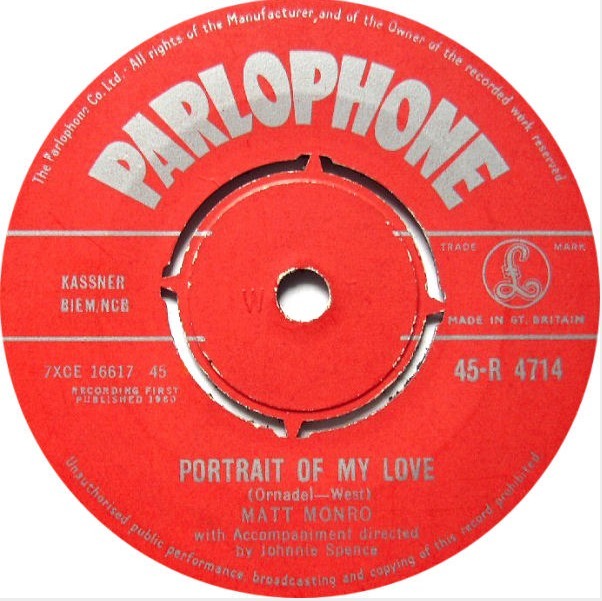 This entry was posted in Apple Records, Beatles, Beatles Collecting, Beatles Music, Parlophone Records and tagged Apple Records, Beatles, Beatles Collecting, EMI Records, Love Me Do, Mistake, Music, Parlophone Records by beatlesblogger. Bookmark the permalink. I pre ordered my copy on Ebay UK and was nervous because thought would not have my copy to learn that they had been canceled, but the seller notified me that my copy was sent one day before launch. People living in the UK who made the purchase with the same vendor have described the operation as successful and are very satisfied with the seller. I’m waiting for my copy of Love Me Do arrive to my country! Hi – I hope your copy comes through! Wow, huge mistake. Yes, some sellers will surely ask a lot of money for this record. I am not so sure if that really is fair. Well, it is a collector’s item now… Don’t know that it should be compared to the “Butcher cover” but everyone has a right to their own opinion. How on earth could EMI be so incompetent??? The mind boggles to think that no-one made it their business to check that they had the right version before the discs were actually posted out, and as for getting the catalogue number wrong… talk about careless. Don’t they have anyone checking these things? Part of me thinks it would be worth gambling £100 on one of these discs. They could well be worth a fortune one day – think about the gold label Please Please Me, or the early numbered White Albums. On the other hand, they aren’t original 60s releases so maybe the collectors market isn’t so great for re-issues. Off topic – saw MMT documentary on UK TV yesterday. What’s up with Macca’s voice? I ordered my copies* from Amazon UK, who have given me a couple of revised release dates “from the manufacturer”, so who knows what’s going to happen? As for the mispresses, my first impulse was to splash out some cash on one on ebay before they really shoot through the roof, but on careful reflection I’ve resisted, as I think buyers are going to find that they’ve paid waaay too much. It’s not like the butcher cover, where it’s something we’re not ever supposed to see, or the initial mono pressing of Revolver with the incorrect matrix and versions of songs we’re not supposed to hear. On the contrary, it’s just a stuff-up by someone at EMI with poor attention to detail, much in the manner of the incorrect mono Rubber Soul appearing on Capitol Albums Vol 2. I don’t think *that* one is any more valuable these days than a corrected edition, and even it contains different material that is unavailable elsewhere (albeit just a mono fold-down from stereo). This mispress doesn’t contain anything new or otherwise unavailable, but you never can tell in the world of Beatles collecting, I guess. *yes, copies – for the sake of a few extra bucks I was gambling on EMI possibly releasing each of the singles on their anniversary as a limited edition, thus making a spare full set at the end of the cycle *very* valuable! Good news. 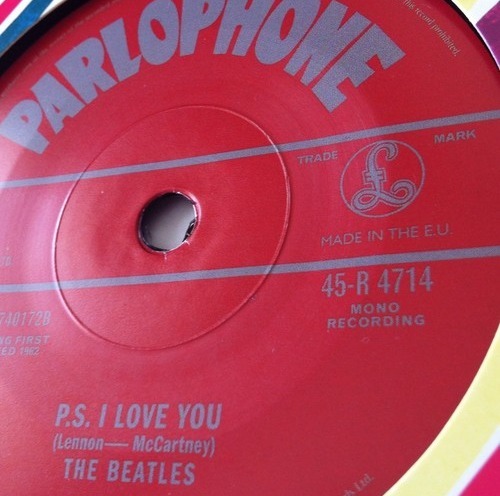 Amazon is announcing that EMI has given the new date for the release of Love Me Do properly edited by October 22. I’ll save some money to buy that version too as well as the Ebay seller that I bought my copy made shipments ​before EMI re called, now will have a good game of the same singles, correct and incorrect press! Don’t think it will be as collectible as older rare beatles vinyl due to the fact that vinyl is not as much sought after as it once was. Is Vinyl as much sought after as it once was-Sorry have to disagree with that! No-one at EMI could be THAT stupid. I’m always very suspicious about this kind of thing – like those 20p coins that didn’t have a date on, anytone remember them? Funny how those coins were never seen by any ‘normal’ person – they probably got offered to bankers as an inside investment. it wouldn’t surprise me if the mispress was allowed to happen just to get people interested (and sellers making money). I manged to get 2 copies of the withdrawn version. However, I’ve just bought the repress and it arrived today, and it still has the incorrect catalog number on the b-side !! I haven’t played it because I’m at work so I guess I’ll have to wait until tomorrow to see if the version has been changed. Hi Gaz Hat – let us know what you find when you play it. Did they get the right version this time? It’s amazing it still has the wrong catalogue number on the B-side….. I Wonder if this mistake is deliberate-A subtle marketing ploy -Or am I just being cynical? I got my copy (not from Digital Stores, they refund me my money due the item never arrived)….but…here’s a strange thing… of course we still have the “R 4714 problem” but…WHY on the eath says on the label “Made in the E.U.”??? I supposed this will be a REPLICA of the original. Another “oooops” mistake?? Oh dear…..thanks for that information. Mine should be arriving soon. Great report and feedback. Thanks. Enjoy that vinyl “Let It Be”! Well the 22/10/12 “corrected” reissue STILL has the wrong catalogue number on the B-side!